19.01.19 11:50 Transfer Sent Payment: 60.00 USD to account U18968051 from U1294xxx. Batch: 243229491. Memo: Shopping Cart Payment. 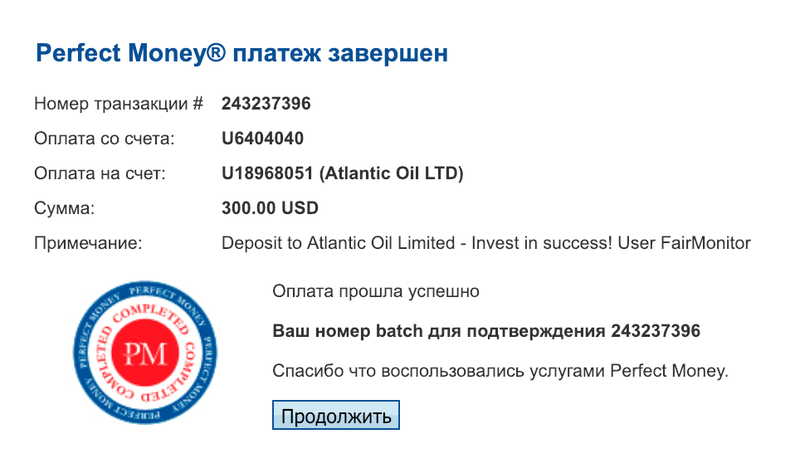 Deposit to Atlantic Oil Limited - Invest in success! User allhyips.